Members of the breakaway faction of the Oyo State chapter of the All Progressives Congress, APC, Unity Forum, who joined the African Democratic Congress, ADC, have given the national headquarters of the party conditions to stay in the party. It would be recalled that the group and others have been aggrieved following the purported congress by factions loyal to former Oyo State governor, Rashidi Ladoja and Chief Michael Koleoso. The factions had released names of their loyalists as state executives of the party few hours after they had allegedly agreed to postpone the congress to allow them resolve their crisis. Members of the Forum have, however, threatened to leave if the national working committee of the party fail to resolve the issue within three days. The communique to that effect was read at a meeting held at the residence of Dr Busari Adebisi. Communique issued by the Unity Forum after the meeting held at Dr. Busari Adebisi’s lodge,Ringroad, Ibadan. 1. That the ward congress held across Oyo state on Saturday, the 25th of August, 2018 is inconclusive in most of the wards. 2. 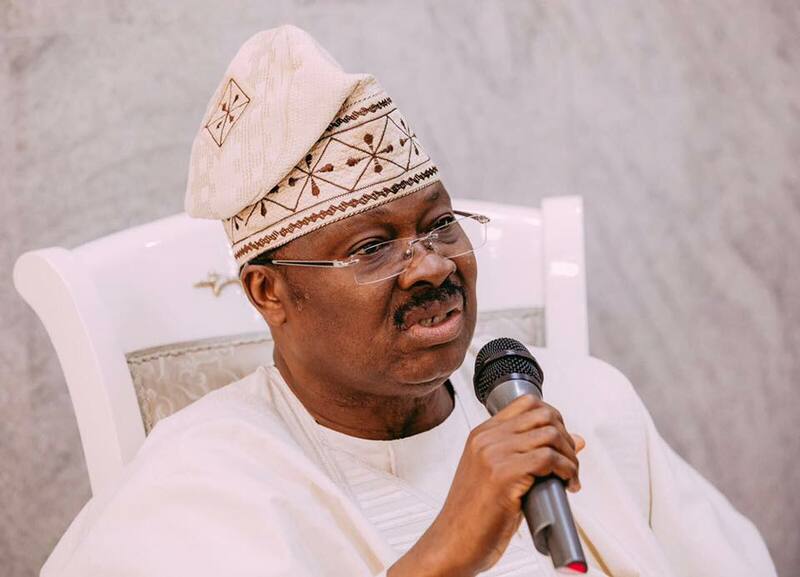 That the local government congress held across Oyo state on the Monday, the 27th of August, 2018 where local government executives of the party as well as delegates for the state congress are to be elected remain inconclusive in most local government across the state. 3. No avenue was given for the resolution of issues emanating from the congresses by the party especially, the local government congress from where the delegate list for the conduct of election into the state executive offices of the party at the state congress is supposed to be generated. 4. That due to issues arising from the local government congress and non readiness of huge numbers of local government excos and state delegates who are the fulcrum of those to vote at the state congress, the national headquarters of the party through her chairman, Chief Ralph Osita on the 27th of August, 2018, the day when the inconclusive local congress took place decided to postpone the conduct of state congress in Oyo state and did postpone the same until further notice. 5. That the notice of postponement was well circulated among members and delegates for the state congress of the party who then decided to remain at their various council and go about their daily activities following the postponement. 6. That till date, no further notice regarding the postponement has been given to the members of the party. 7. That on the 28th of August, 2018, a meeting was held at the house of Chief Michael Koleoso between himself and Chief Rashidi Ladoja and their supporters to the exclusion of members of Unity forum, where a purported list of state executive members of the party was generated and offices shared among themselves. 8. That following the information regarding the meeting above, leaders of the Unity forum across the state equally held an emergency meeting to discuss issues surrounding the previous as well as the postponed congress. 9. That it was resolved that attempt to foist or impose any list of state exco members from any quarters is hereby vehemently opposed. 10. That while the meeting of the Unity forum lasted, a delegation consisting of Barrister Bayo Lawal, Chief Sarafadeen Ali, Dr. Nureni Adisa and Hon. Lanre Agoro arrived at the venue of the meeting that all we heard about any template or list or names of state excos yet to be agreed upon did not exist anywhere and that it was a mere rumour. That the delegation assured that the postponed state congress remain postponed from the national office of the party. 11. That contrary to those assurances, a list of state exco of the party was forced on the throat of Dr. Majekodunmi, the congress chairman, who without consultation decided to do the biddings of Chief Koleoso and Chief Ladoja by allegedly announcing some names as the state exco members of the party without following due procedure for the conduct of a genuine party congress as contained in the constitution of the party and the guideline issued pursuant to the same. 12. That at the purported venue of the party, the members of old ADC and Unity forum were not represented and it was an affairs of both Chief Koleoso and Ladoja as well as dogmant followership of Chief Olakojo. 13. That Dr. Majekodunmi met with the Unity forum on the29th of August 2018 on the directive of the national chairman of the party at this venue, but could not defend the announcement made at Green spring hotel of some names as members of state excos of the party. i. To the effect that the kangaroo and illegal congress purportedly carry out should be cancelled witthin 24 hours of its announcement which expires at 6.05p.m yesterday as same was invalid, illegal, unconstitutional and ultra vires of his powers as the congress chairman same having been postpone and no further notice of recession of postponement was published or given to delegates and members of the party. ii. That all legal means will be taken to ensure the cancellation of the charade called state congress. iii. That Unity forum while leaving avenue for the resolution of the impunity which the characteristics of the key players involved in this logjam, we will consider any other option for our teeming members to realise their pilitical ambition, and our numerous supporters yearning for good governance. A source close to the Ladoja faction of the ADC who begged for anonymity, however, confided in World Street Journal that there is no going back on the decision reached at the said congress. 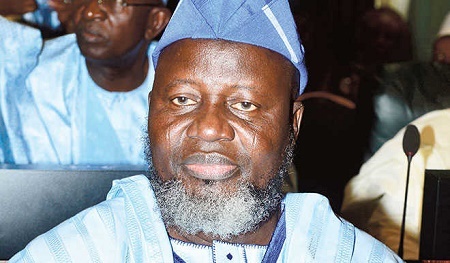 He said officials of both INEC and national executives of the party witnessed the congress in Ibadan on Tuesday, stressing that time was against the party and would not allow anybody to draw it back. He jokingly said, ”my brother there is no problem. Where will they go to…go back to Ajimobi in APC, or PDP? I know the differences will be resolved at family meeting of our party”.